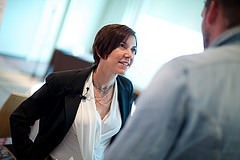 Building great relationships is the essence of good fundraising. Your job as a non-profit is to find as many people as you can who are passionate about your work, and then work hard to build strong relationships with them. Donors need to feel like part of your team and know just how integral they are to your success. When it comes to raising more money, nothing can compete with in-person meetings and personal phone calls. E-mails, direct mail, newsletters and other mass communications have an important role to play in non-profit development, but having direct conversations with donors on a regular basis is what will have the most impact on your fundraising revenue. The non-profits that have the most success with individual and major giving are those organizations that spend the most time building personal relationships with their donors and prospects. 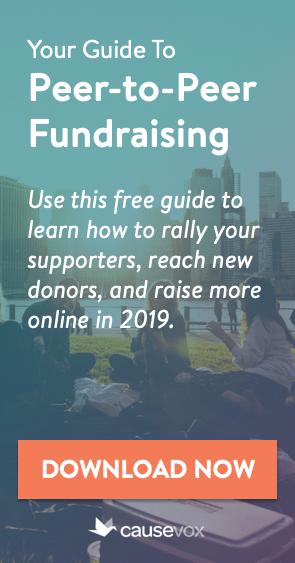 If you really want to supercharge your non-profit’s fundraising, make 5 calls per day, and ask everyone on your fundraising team to do the same. Most of these calls will not (and should not) be “ask” calls. The vast majority of these calls will be cultivation calls… short calls to check in with donors and prospects, to give updates, to ask for advice, to connect donors with other donors who might be able to help them, etc. These cultivation calls are extremely important for building strong relationships with your donors and prospects. 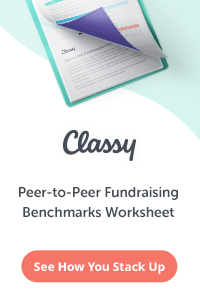 One of the surest ways to determine the strength of a fundraising program is to ask the question, “What percentage of the time are the fundraising team members out of the office vs. in the office?” If fundraisers aren’t out doing fundraising meetings, then they aren’t building the strong donor relationships that they should be. To be the best fundraiser you can possibly be, start trying to arrange 5 out-of-the-office meetings each and every week. Have everyone on the fundraising team do the same. Remember that most of your fundraising meetings will not be “ask” meetings. Instead, you’ll be meeting with donors and prospects to cultivate them and move them towards the (eventual) ask or upgrade. While the ratio will vary at every non-profit, most successful fundraisers do 3-4 cultivation meetings for every 1 ask meeting. Non-fundraising executives (like the Executive Director and Program Director) aren’t off the hook when it comes to meetings, either. Supporting the fundraising program is everybody’s responsibility. This means that non-fundraising executives at the non-profit also need to be out doing fundraising meetings, either on their own or with a member of the fundraising team. Donors like to feel like they are part of your non-profit’s “team.” Being part of your team makes donors want to give more, to refer more people to your organization, and to get more actively involved in volunteer efforts for your cause. Nothing makes donors feel like part of your team more than asking them for their advice and counsel. Put a reminder in your calendar to call 3 different donors each week to ask them for their advice, even if you don’t need it. Remember – you don’t have to take their advice; you simply need to ask for it, listen to it, and thank your donors for their input. Then, it’s up to your and your team whether or not you want to follow that advice. If you have a donor who works in advertising, call her to ask for some ideas on getting more exposure for your organization. If you have a donor who always attends your events, call him to ask for his thoughts on how to make your events more appealing. Call 3 donors for advice each week, and spend 10 minutes on the phone with each donor hearing them out. It will be 30 minutes well spent. I have successfully used the 5/5/3 rule at non-profits large and small, both as a staff member and as a consultant, and it has always (100% of the time) led to positive results for the organization. 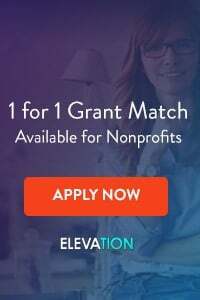 It may be a game changer for your non-profit (particularly if you are currently struggling with donor cultivation) or it could just help around the edges. Either way, it will build better bonds between you and your donors, guaranteed. This is a difficult challenge and reminder. I live a good 1.5-2 hours from the area of our donors. In some cases 3 hours. 5 visits a week seems nuts to me. The calls, I can do that, and have taken the challenge, actually 5-10. I figure 50 a week would cover nearly every single donor from the past 12 months in just two months. That’s significant. Imagine every donor getting a personal thank you call 4 times a year. Too much? I did enter into a longer conversation today with a donor I know well and proceeded toward the end to ask advice. It launched us into a long conversation. I think she appreciated it. So thanks for the challenge. Would this 5/5/3 rule apply only to Exec/Resource staff or should the work be divided by the board as well? Thanks for your question. Your board’s main roles in fundraising should be (1) to make a gift to the organization and (2) to serve as ambassadors and boundary-spanners, introducing you to new people and groups that you can cultivate. ( http://www.thefundraisingauthority.com/strategy-and-planning/board-wont-fundraise/ ). I wouldn’t be pressuring the board to be out making asks every week or month, I think it is counterproductive and leads to frustration and burnout. Likewise, I wouldn’t set numeric goals (do 5 meetings this week/month/year) for the board like you would for staff. The board are volunteers, and again, I think it would be counterproductive. Let me know if you have any other questions about this.